I’ve been putting off doing this review because I feel so sacrilegious doing it. Awhile back I had been perusing reviews of Christopher Moore’s books (one of my favorite authors) and I ran across a reader who said A Dirty Job was a rip off of Dammed if You Do, and not even one all that well done. By no means do I think Moore is impervious to criticism, but I was blown away by the readers scathing disapproval of Moore’s book. So, in an attempt to prove them wrong (at least in my mind), I sought out this rather difficult to find book (none of the local bookstores carried it; online is apparently the only option?). I’ll preempt my review by stating up front that a) I have a rather twisted sense of humor and b) while I did not mind the disjointed style of writing used throughout, I can see it bugging others. That being said....I started the book with a grudge, not wanting it to prove me wrong. But alas, prove me wrong it did. The thing that sets Dammed if You Do apart from other books is that it offers the dark humor and wit that I was expecting, but it also had an eloquence that caught me off guard. The story is humorous (causing me to laugh outright at times) but there is an undercurrent of something deeper that builds and builds. There is a continual dance that the characters maintain, the steps of which are a persistent attempt to grasp the point of life, death, humanity. The idea of War, Famine, Death, and Pestilence walking around in gaudy outfits, bickering about the bureaucracies of their “organization” offers an amusing backdrop, but the true beauty of this book is in the interspersed ponderings of the characters. The main character is torn between death and the living, stuck in the middle, attempting to come to terms with memories of his premature demise and his new role as Death’s assistant. Death, on the other hand, is disillusioned with his job, no longer seeing the point to it all. I hate to say it, but that review I had stumbled across was right. As much as I loved A Dirty Job, this book trumps it, hands down. Excuse me while I go enjoy my guilt tip now. I read this book back in my college days, and it stuck with me through the years. It was a unique take on death and the Grim Reaper using both seriousness and humor twisted together perfectly. My paperback copy is full of underlined quotes that I loved from the book, and I find myself often leafing through it even today to reread them. There were plenty of instances that made me think deeply about my own path in life while connecting to the characters in the book and their own individual paths in life. I highly recommend the book to people in their late teens to early twenties, ones who are just starting out in life and figuring out where they belong. This isn't a coming of age book, but it does have significant moments in the book that anyone in that age frame and beyond can relate too and think, "yes, yes, that was me. I couldn't have said that better myself." I liked this book, although there were parts that made me very sad. I have been accused of liking nihilistic, bleak novels(and its true), but this one kind of took it to a new level. There is one point where it got so hopeless feeling I had to put it aside for a while. It did explore themes that interest me greatly, and in an interesting way. Ironic and a little sarcastic. If you're looking for something a little bit different, this could be it. Ultimately a very good read. I read this book in 2 days. It was funny but had depth to it also. The 4 Horseman have replaced their horses with crappy cars, death is suffering from job burnout and the narrator is the lucky stiff that wins the apprenticeship. He seems to reflect more on his life as a zombie than he did as a living person. Also covered in this book is zombie fashion. Darkly funny. Found this book on a shelf at goodwill, took a chance on it. I love pestilence famine and war. Everyones over exagerated as their stereotypical selves. It takes a classic tale and makes it wry. Fun to read. About six years ago, a friend of mine loaned me this book because she thought it would like it.The concept of this book was very interesting to me, and it kept me hooked the whole time. Excellent, poignant, sad, tasteful, honest to almost painful, black and bright. I like the weird quirkiness of this book but if you want a stright up story with a definative ending you should look elsewhere. I really enjoyed this book. It was funny. I wish it had a better ending, it seems like the author ran out of steam or ideas, but overall I felt it was worth my time. If you like Neal Gaiman, you will definitely like this. eh. Amusing, but not great. super quick read. Well thought bit not I did not enjoy that much the way it's written. 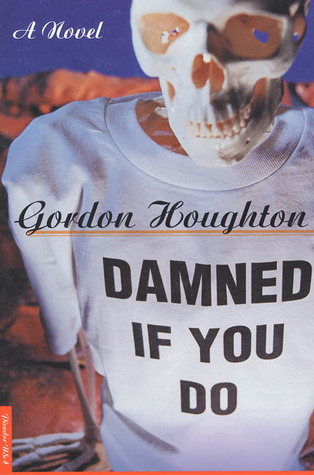 Gordon Houghton - All my novels are now available in ebook format. A good place to start if you're into dark fantasy is The Apprentice; if you prefer dystopian SF, try Max.You can find out more about me here. I'm also on Facebook and Twitter.